WISPPA was pleased to co-sponsor the candidate forum with the South Pasadena Chamber of Commerce. We thank all of the candidates for participating and Linda Wah for moderating this important forum. Also, thanks to Bianca Richards, Laurie Wheeler and Betty Emirhanian for working with Linda on the questions, to Bianca & WISPPA for the refreshments at the reception, John Vandercook for having the reception at his business "Reimagine Your Home" and to Tracy Macrum (local business owner) for being the timekeeper and making sure all the candidates stayed within their allotted time. Lastly, a special thank you to Laurie Wheeler for coordinating the event. "Want to Run for Office or Help Someone Run or be Appointed to a Commission"
Session Two: 1:30-4:30 Roles played by boards and commissions in policy development, how to apply and qualify, getting those letters of recommendation. Workshops are organized by the National Women’s Political Caucus’ Greater Pasadena Area chapter, and co-hosted by the League of Women Voters (LWV), 50/50 Leadership; YWCA-Pasadena-Foothills, and YWCA-Glendale; by Grace Napolitano, Congresswoman; Mary Ann Lutz, former Monrovia Mayor; Margaret McAustin, Pasadena City Council Member; Meredith McKenzie, former Altadena Library Chair; Berjouhi Koukeyan, NWPC-Greater Pasadena Area chapter president; and Marguerite Cooper, Education & Training Chair. Co-Sponsored by the American Association of University Women (AAUW), Women Involved in South Pasadena Political Action (WISPPA), and Assemblymember Ed Chau. Organized by the Pasadena Commission of Status of Women. Some other sponsors included League of Women, NWPC, All Saints Church. Excellent turnout, including a number of WISPPA members! In conjunction with the NWPC, WIPPSA hosted a successful workshop on January 16, 2016 to help people get a campaign started and explain how to raise the money needed to persuade voters to vote for them. Although this workshop was geared towards women, all were welcome. ​It was sponsored by U.S. Congresswoman Judy Chu; State Senator Carol Liu; California State Treasurer John Chiang; Linda Wah, Pasadena City College Trustee. C-sponsores were California Assembly Member Chris Holden; Mary Ann Lutz, Former Mayor of Monrovia; Dr. Jeanette Mann Pasadena City College Trustee; Denise Menchaca - former President, San Gabriel Unified School District; Mary Cammarano, San Gabriel County Water District; Diana Mahmud, Mayor of South Pasadena; Marina Khubesrian, Councilwoman and former Mayor of South Pasadena. Also co-sponosring the event were the League of Women Voters; 50/50 leadership, AAUW. The presenters were Meredith McKenzie, Jon Fuhrman, Marguerite Cooper, and Sean Abajian. 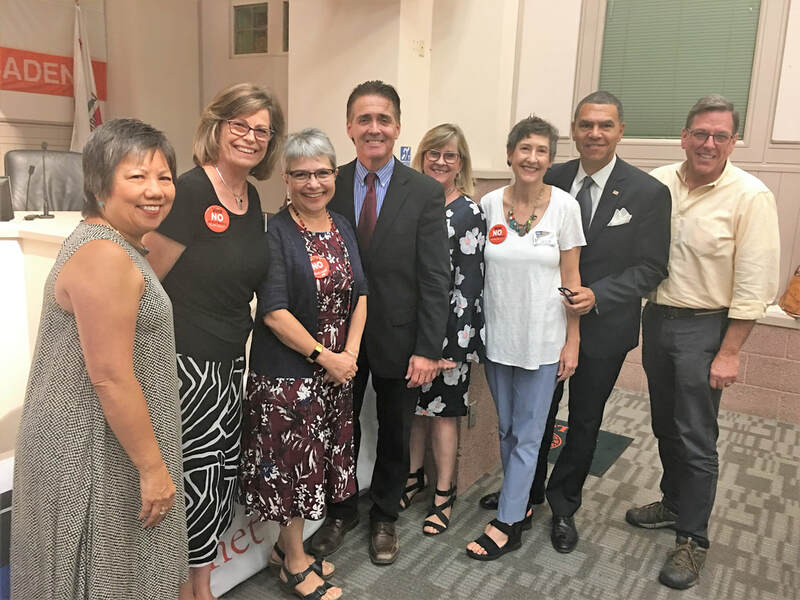 Together with the League of Women Voters - Pasadena Area, WISPPA sponsored a city council candidate forum, a forum of candidates for California Assembly and Senate, and a Pro/Con forum on ballot initiatives. 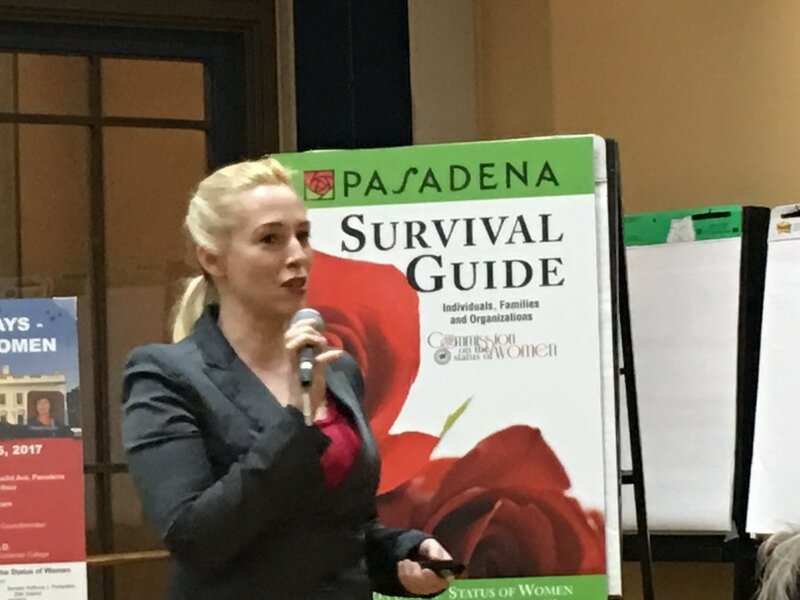 We believe the state forums were the first of their kind to be held in South Pasadena for many years. This year's City Council forum took place on Thursday, October 3. The forum was streamed live on with on-demand playback at this weblink: http://www.spectrumstream.com/streaming/south_pasadena_ot/2013_10_03.cfm. To view a rebroadcast of the forum, go to the above weblink and click on "Candidate Forums." Select October 3 to view the forum sponsored by the LWV/WISPPA, or October 8 to view the forum sponsored by the South Pasadena Chamber of Commerce.